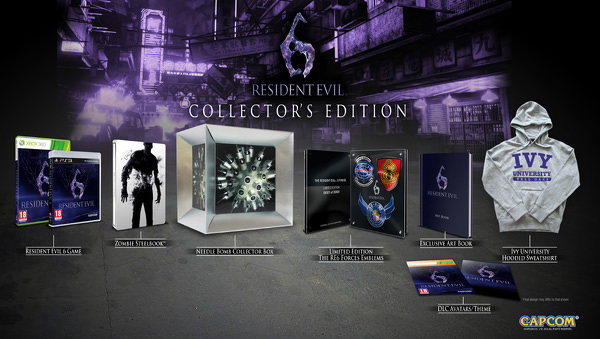 Capcom confirmed the details last week of it's Collectors Edition version of the upcoming Resident Evil 6. The bundle includes not only the steelbook version of the game, but a hoodie, art book, a signed artwork, avatar DLC, Forces emblems, and much more. Judging by the amount included in this collection, no doubt it was going to be an expensive purchase. Well, it looks like we were right. The collection will be priced at a hefty £129.99, and will be sold exclusively at GAME in the UK. Resident Evil 6 will be released on the 2nd October 2012. Will you be picking up the Collectors Edition?